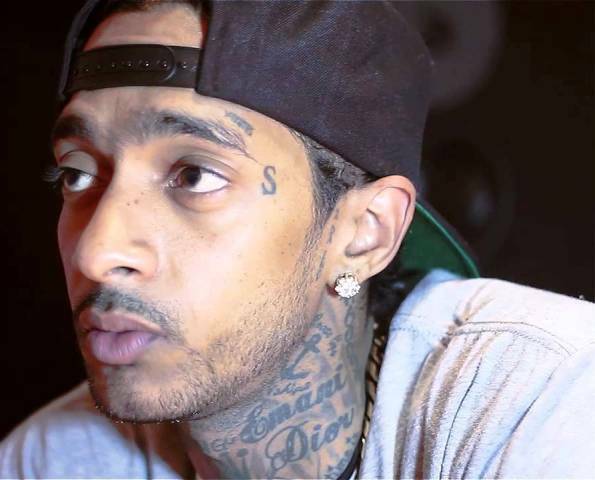 Ermias Davidson Asghedom, professionally known as Nipsey Hussle, was an American Singer and Songwriter. 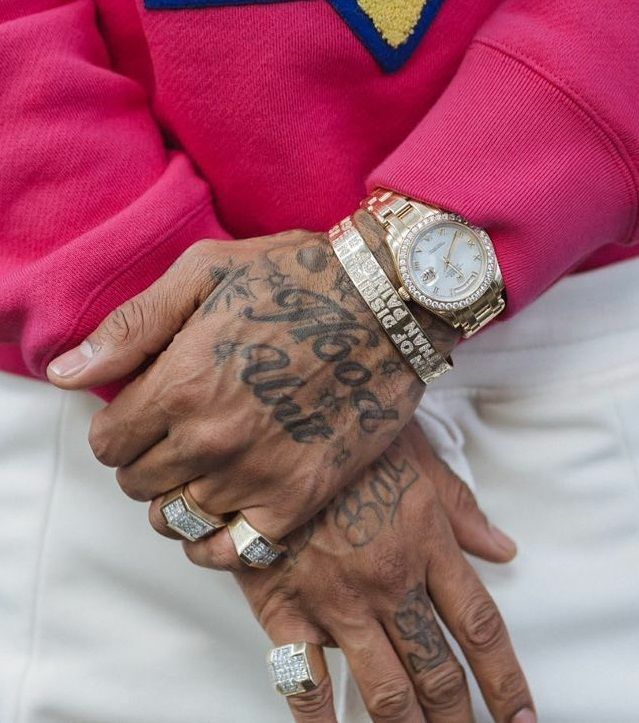 He emerged from the West Coast Hip Hop scene in the mid-2000s and was nominated for Best Rap Album at the 61st Annual Grammy Awards in 2019. 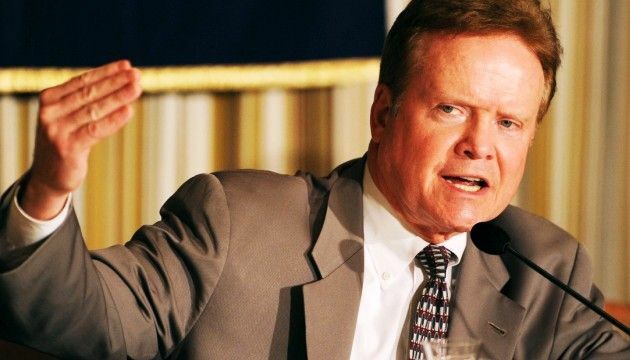 He was shot dead in his hometown, Los Angeles on 31 March 2019. 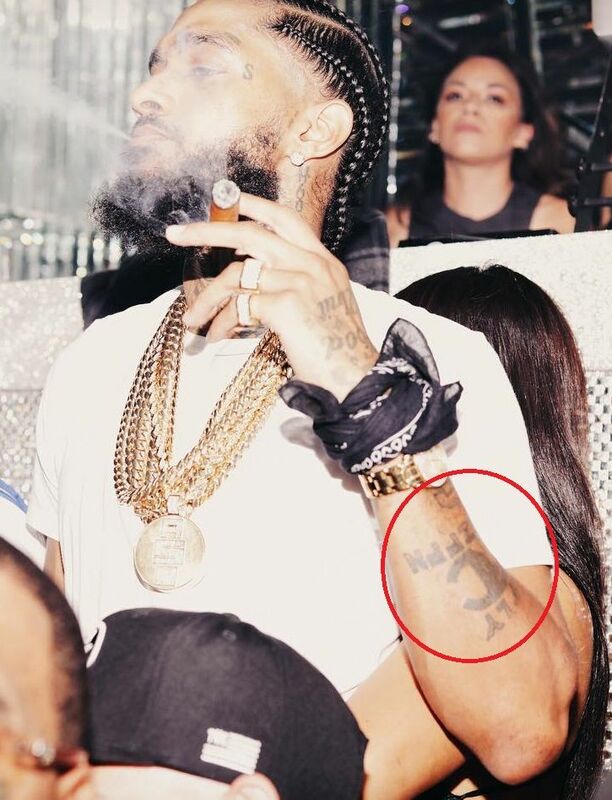 Now when we look back to his tattoo, it looks like his tattoos say something and relate to his untimely death! 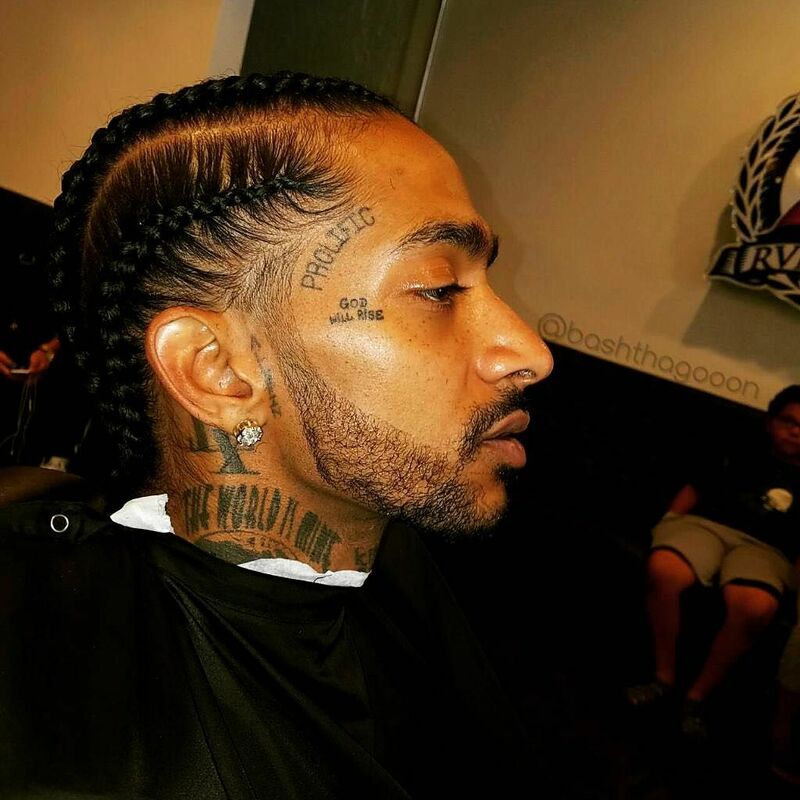 Tattoo: Nipsey had “EMANI DIOR” inked on his neck. Emani Dior is the name of his daughter. A crown along with “King” and “Me” was inked on his neck which clearly reflects Nispey considered himself no less than a King. 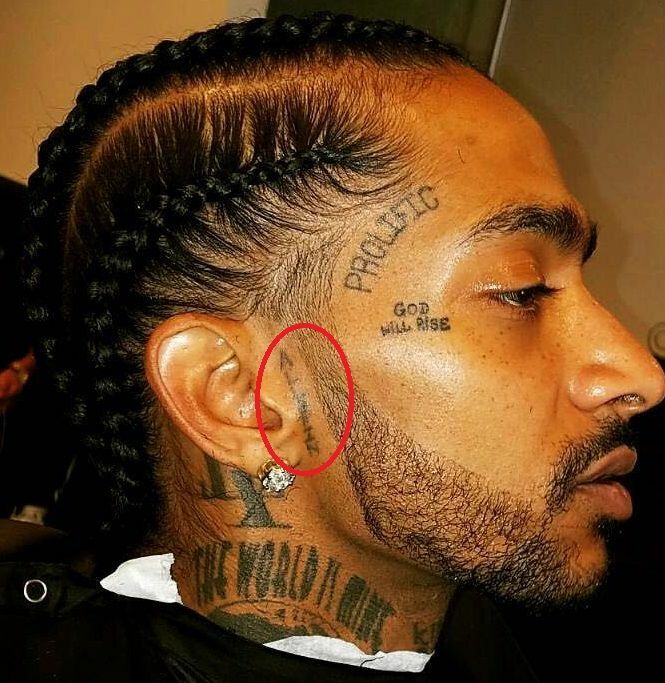 Tattoo: On the left side of his neck, Nipsey got “WORLD IS MINE” inked along with Earth design. 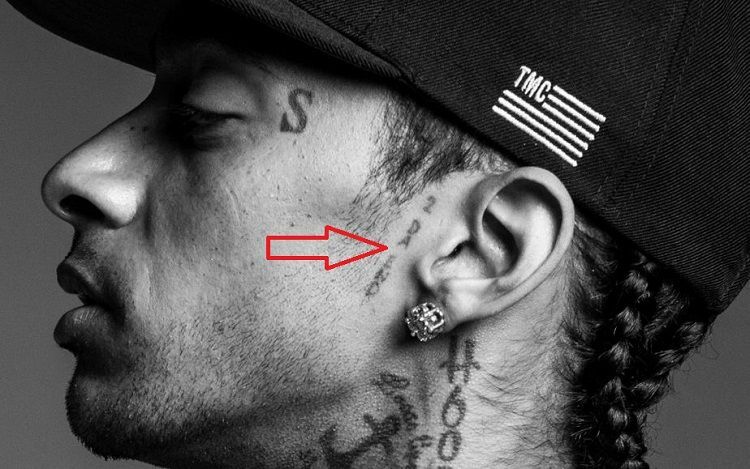 Nispey had Anchor tattoo on his neck along with “Loose lips, sink ships” text. 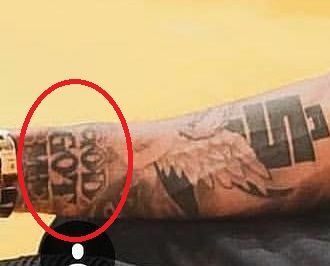 Just near his left ear, he got “2 DA END” (to the end) inked in vertical fonts. Tattoo: Apart from an inscription just above the left eyebrow, there is an English letter, ‘S’ is written near his left eye. 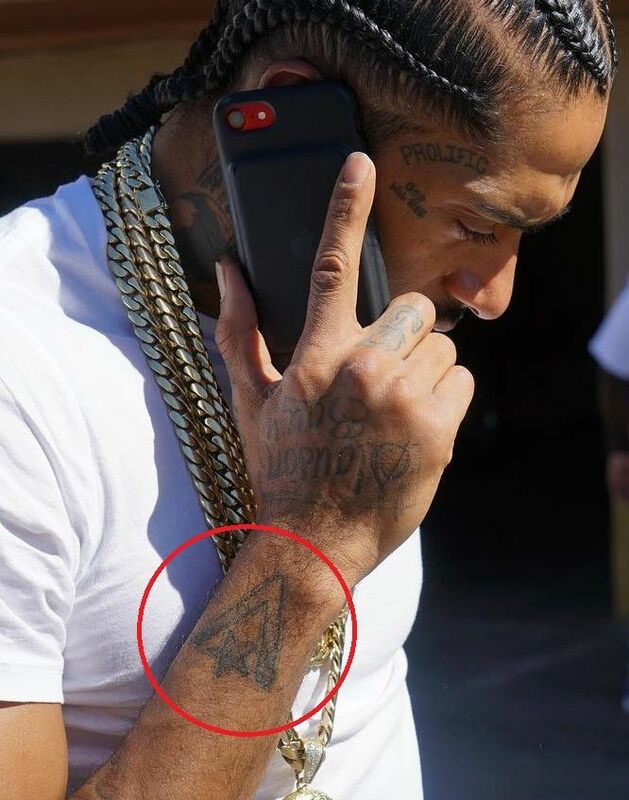 He had inked “Hood Unit” on the back of his hand along with many small designs, which includes a cross symbol as well. 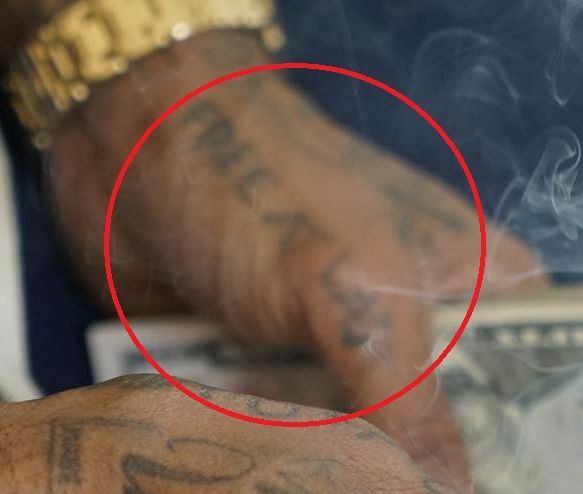 Nispey inked his record label’s (All Money In) logo on his left forearm. 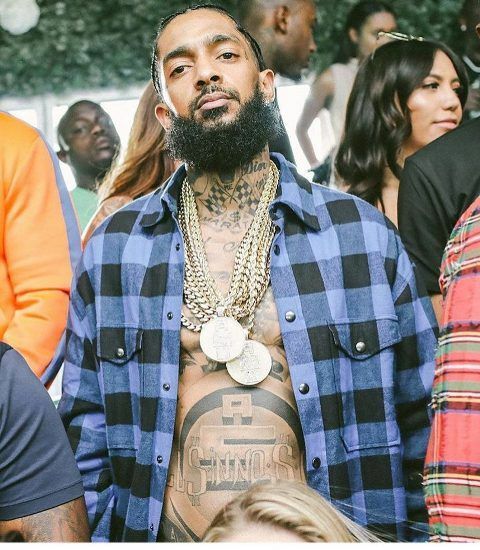 Nipsey had a son and a daughter, he had their faces inked on his chest. 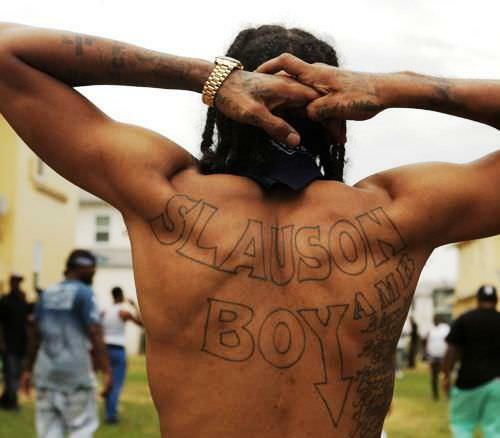 ‘Slauson Boy’ has been written on his back along with other inscriptions. 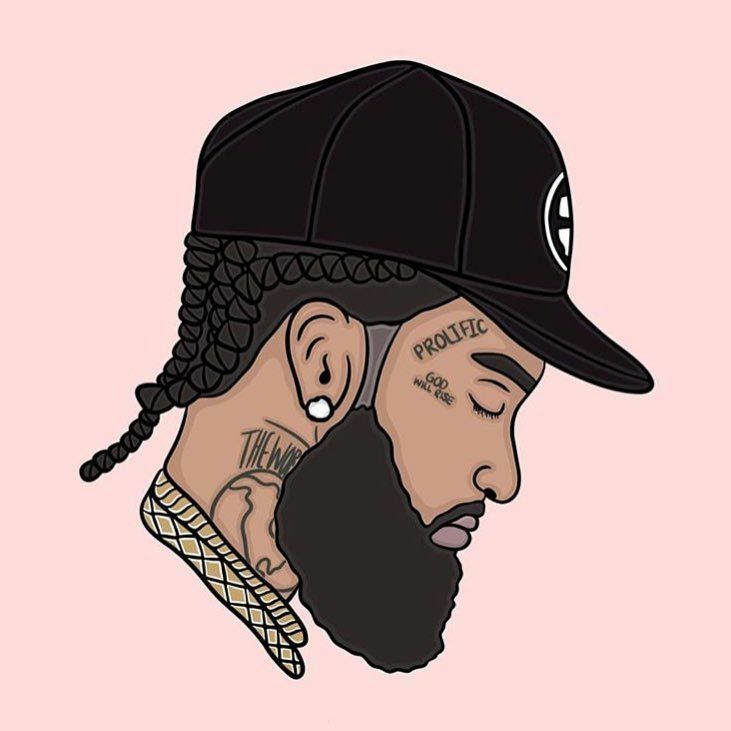 Slauson Boy was his first mixtape. 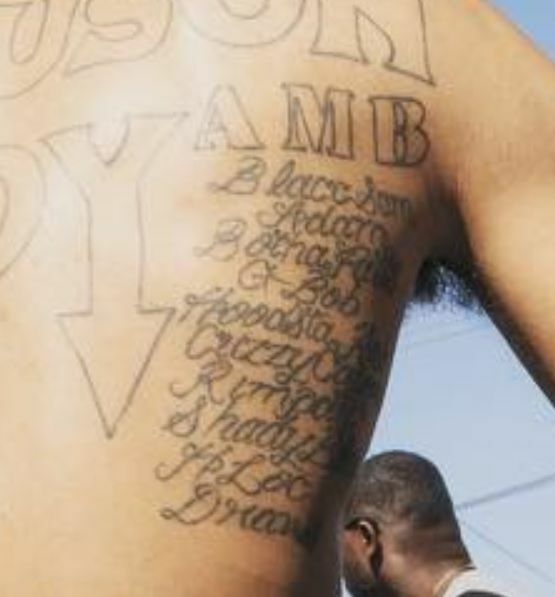 Nispey had inked the list of the names of his close ones on the back. 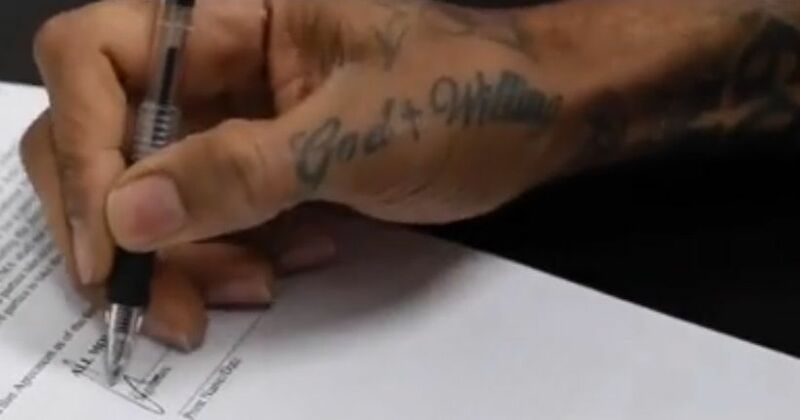 The first name on the list is of his brother, Blacc Sam. 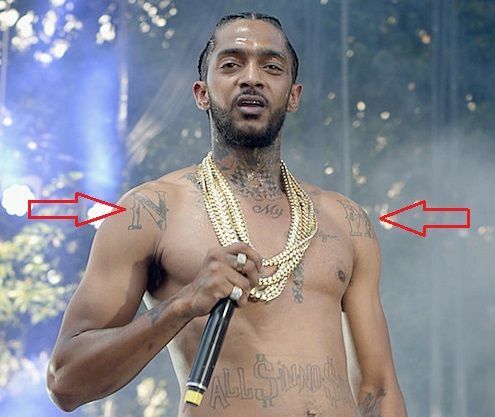 Nipsey got “N” and “H” inked on his left and right shoulders. 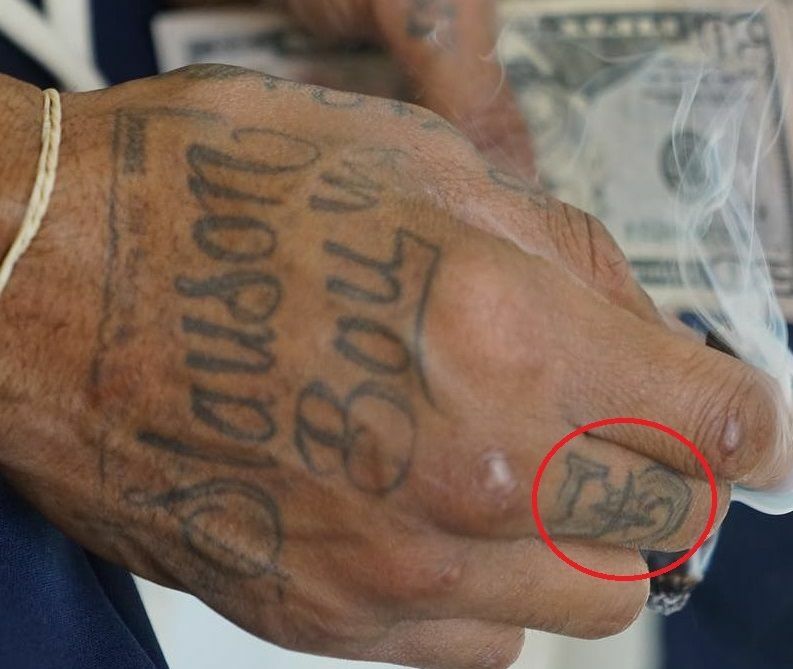 NH means Neighborhood, Nipsey was a Westside Rollin 60 Neighborhood Crip. 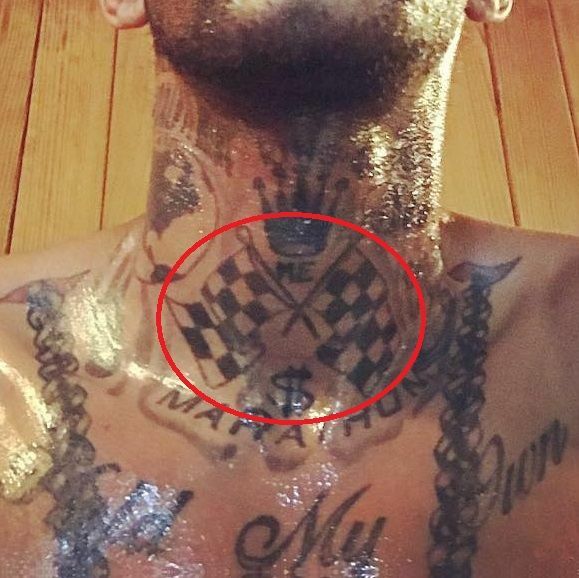 Nipsey had the letters “S” and “C” linked to each other in the tattoo. SC is a College school logo but it stands for SIXTY CRIP. 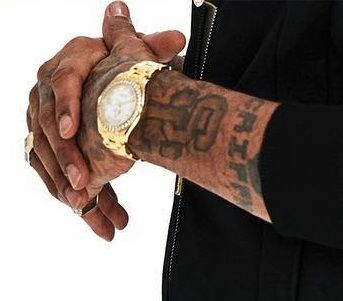 Nipsey’s clothing brand, “The Marathon Clothing” short form is TMC. He had a big tattoo on his stomach written in big English design fonts. 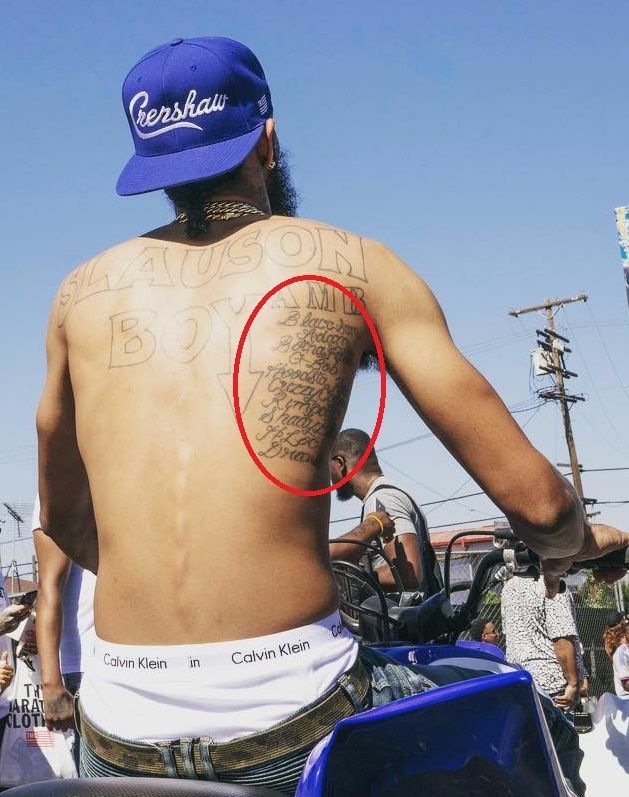 Nipsey again got his record label’s logo inked in the background of his existing tattoos on the stomach. 4. Anchor Tattoo (Words) Loose lips, sink ships.